When can I e-file my tax return? A current year return can be e-filed on January 28th through the e-file deadline of October 15th. After the October deadline, it becomes a prior year return, which the IRS then requires prior year returns to be paper filed. When is the last day to file my tax return? Every year the tax season ends around April 15th, unless it falls on a weekend or holiday. To avoid late filing penalties, returns with a tax due need to be filed before the April deadline. An IRS extension must be filed by the April deadline to extend your deadline to October. Select your tax year and create a username and password. Simply, enter your tax information such as your income and deductions. We will even let you know what credits you’re eligible for. Then, submit your account to us once you’re confident. We provide the help and security you need to file your taxes. Get tax advice when you need it at no extra charge. Reach us by phone or live chat while you’re doing your tax return, before you start, and after you finish. We’ll be glad to help. Or send us an email and get an answer within 24 hours. Go ahead: Ask us the tough ones! We work hard to get you qualifying deductions and credits. How do we do it? We dig deep into the tax book and unearth deductions and credits other tax sites miss. Then we match all those that fit to your tax situation. The result: you'll get a bigger refund from us than you would from the other guys! We make sure you are 100% safe while sharing your personal information with us. Rapidtax is certified by TRUSTe. Our site is also fully secured by Norton Symantec Security SSL encryption and scanned daily by McAfee Secure. All packages include free customer service. The IRS will start accepting e-filed tax returns on January 28. The IRS will start issuing refunds with the Additional Child Tax Credit and Earned Income Tax Credit on February 27 and after. April 15 is the last day to file individual and state tax returns. You must file an extension for your 2018 tax return by this date. October 15 is the e-file deadline along with the due date of tax returns filed with an extension. After this date, federal and state returns are considered prior year returns and must be signed and then mailed. I wish I had known how easy this would be or I would’ve never paid an accountant to do it for the past ten years! 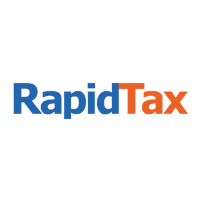 Have used RapidTax for five years running. Now my three twentysomething children use the service as well. Easy to use, great service, excellent value.